The Zoo is working with a company called Eco-Cell to recycle cell phones, help the environment and make money for conservation. Many of us have one or more old cell phones stuck in drawers or closets just waiting for a place to go. You don’t want to throw them in the trash because you’ve heard its bad for the environment. Well the Louisville Zoo has a solution for you! Bring your old cell phones to the Zoo and put them in the special containers on the Front Plaza. ANY kind of cell phone will be accepted – even the big, heavy ones that were popular 10 years ago and wouldn’t come close to fitting in your pocket now. Eco-Cell will donate up to $200 or more for a newer model cell phone. 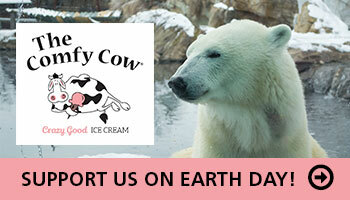 And because the Louisville Zoo is an Eco-Cell Silverback Partner, we receive money for EVERY phone that we recycle. Please be sure these are old phones and that your service has been disconnected. ECO-Cell does not clear cell phones of data or content left on phones. It is the responsibility of the donating party to cancel or switch service on the phone and to delete any data such as phone numbers, text messages, pictures, emails, documents, etc. that might be on the cell phone. ECO-Cell sends donated phones to refurbishing companies who often delete any content left on phones, but Eco-Cell cannot guarantee that content will always be deleted. Therefore it is Eco-Cell’s position and recommendation that those wishing to donate a phone take the time to clear phone of all data to ensure maximum privacy. According to the EPA, more than 130 million cell phones will go out of use this year. That’s over 65,000 tons of electronic garbage that could end up in our landfills. Cell phones contain a number of hazardous substances with some (like cadmium) having serious impact to the environment. Donating your phone to the Zoo and having it recycled by Eco-Cell will ensure that most of these cell phones and their accessories will be reused or properly recycled. 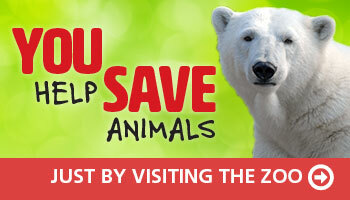 And you will help the Zoo raise money for conservation. Some of the phones collected by Eco-Cell will go to charities that require them for emergency 911 use. Others will be recycled because they are no longer usable. The majority will be refurbished and reused by first-time, low-income users in Latin American and other areas where cell phone technology is compatible with those in the United States.